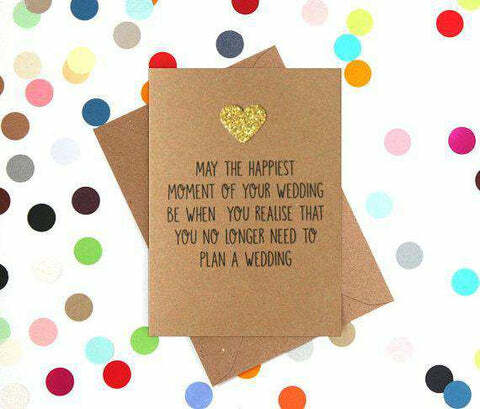 When the big day finally arrives, celebrate the relief of the happy couple with this funny wedding card. Our cards are made using only the best quality board. This Funny Wedding Card is printed on luxury 350gsm Kraft board with this unique design.